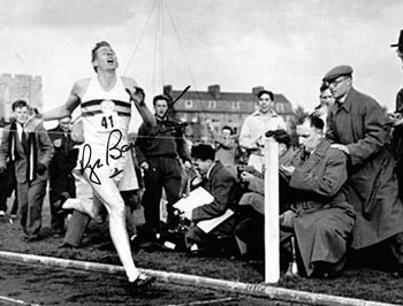 Sir Roger Bannister is a former English middle-distance athlete (physician & academic) who ran the first-ever sub-4-minute mile. 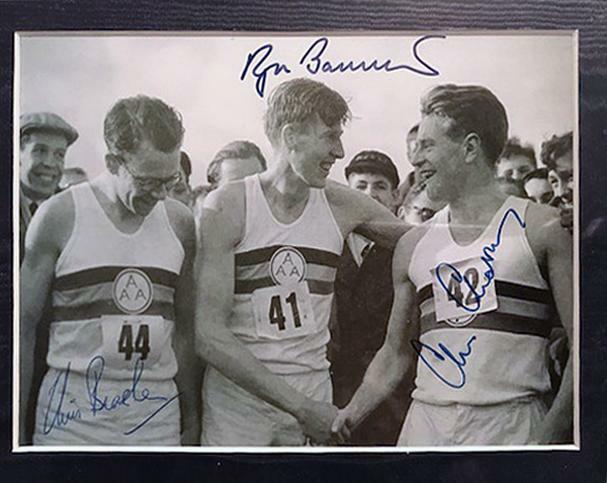 signed sub Four Minute Mile B&W post-race photo (1954). 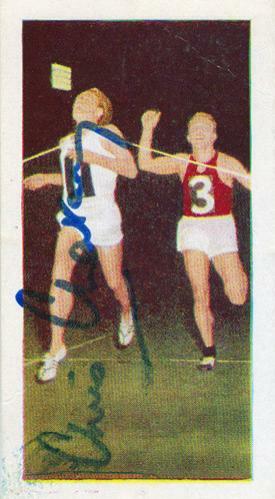 Also signed by pace-makers Chris Brasher (#44) & Chris Chataway (#42). 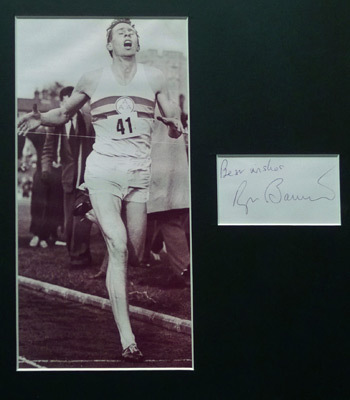 For more information on this item, or to place a bid to buy it, please CONTACT US. 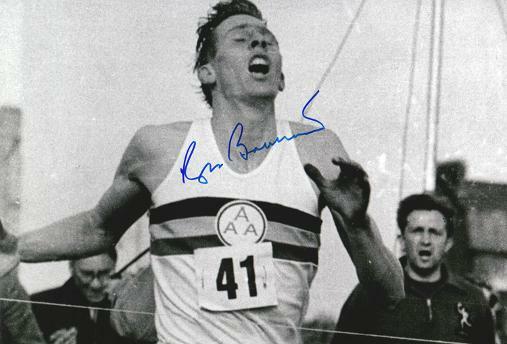 signed sub Four Minute Mile B&W photo (1954). 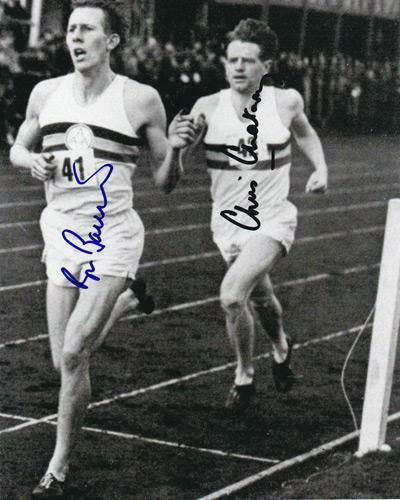 Also signed by pace-maker Chris Chataway (#42). 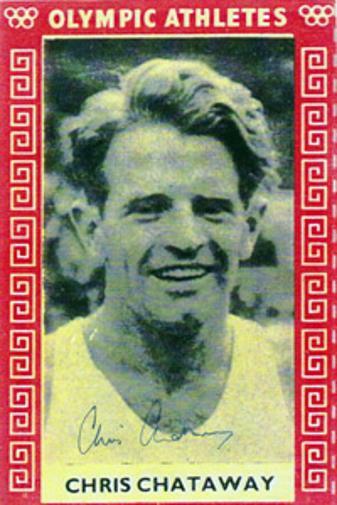 signed B&W photo after his victory in the 1951 Benjamin Franklin Mile in Philadelphia. 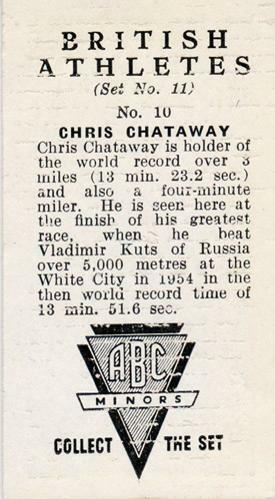 sub 4 minute mile world record in 1954. 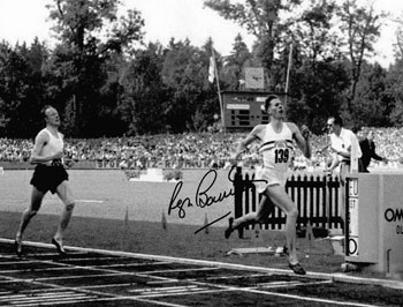 Signed "The Great Mile at Vancouver" B&W photo depicting Bannister's victory in the 1954 Empire Games mile. 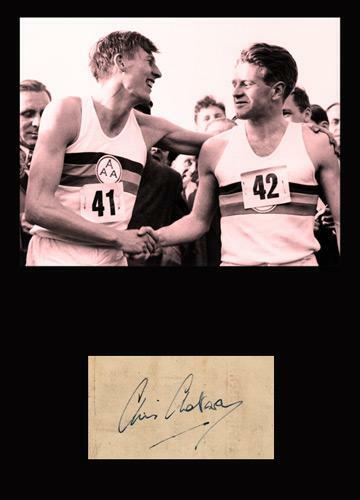 Signed sub Four Minute Mile handshake B&W photo (1954) with pace-maker Chris Chataway (#42). 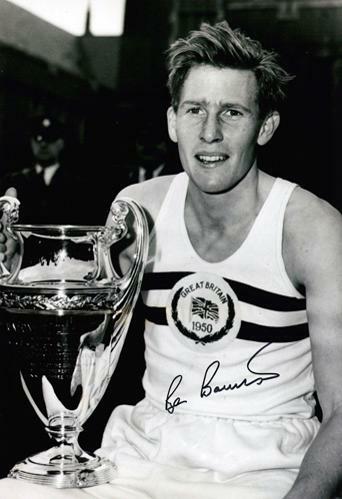 signed B&W photo depicted wearing his Oxford University Athletic Club (OUAC) team sweater. 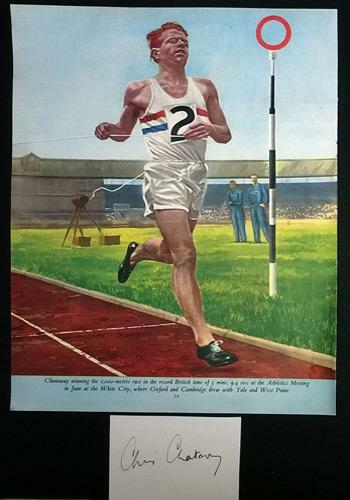 at Iffley Road track in Oxford. 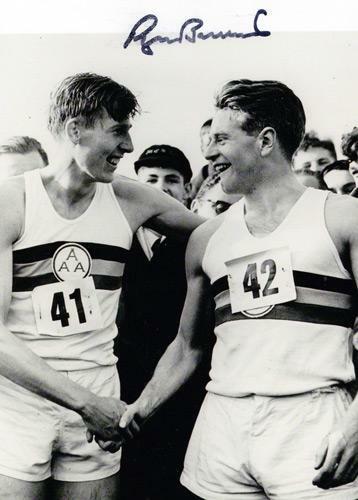 featuring Chris Brasher (#44) and Chris Chataway (#42). 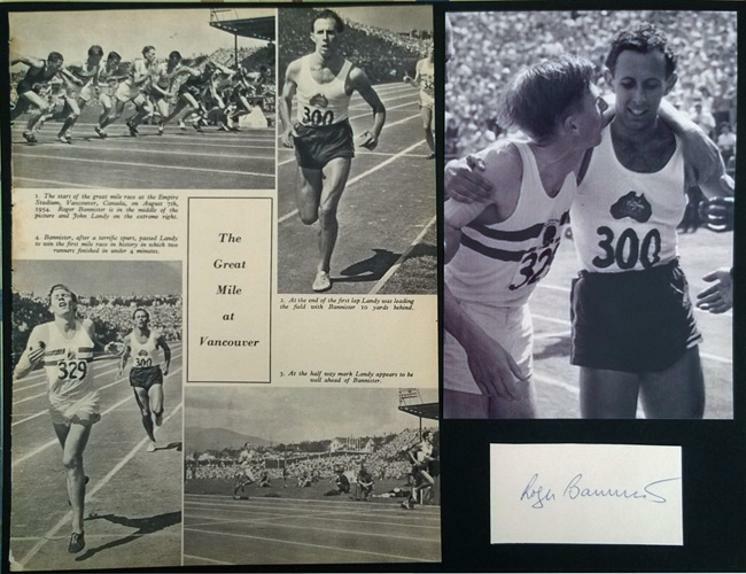 Signed autograph card with "The Great Mile at Vancouver" montage depicting Bannister's historic victory over Australia's John Landy (#300) in the 1954 Empire Games mile. 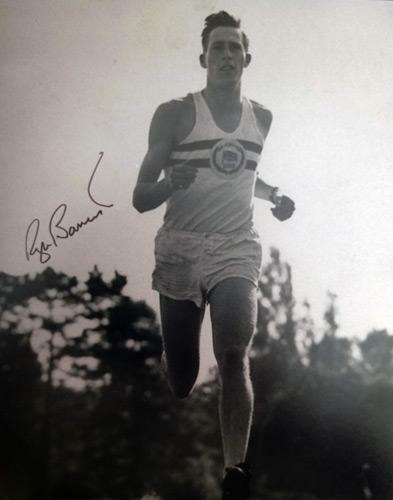 Signed B&W close up photo of his historic sub 4 minute mile in 1954. 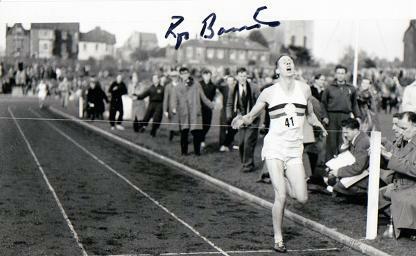 Signed photo crossing the finishing line to record the first sub four minute mile at Iffley Road, Oxford in 1954. 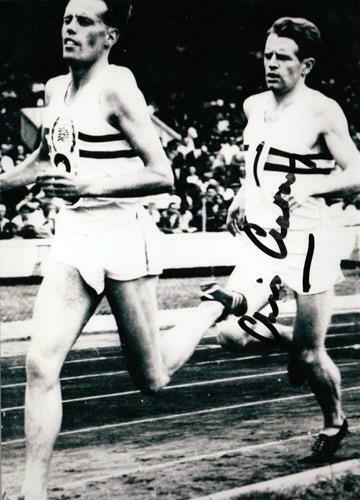 Signed photo winning the 1500m at 1954 European Championships in Bern beating Gunnar Nielsen. 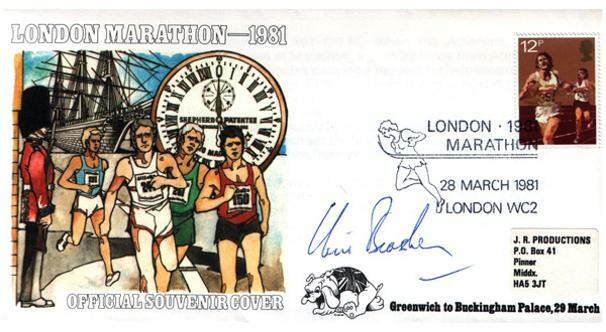 the first-ever London Marathon in March 1981. 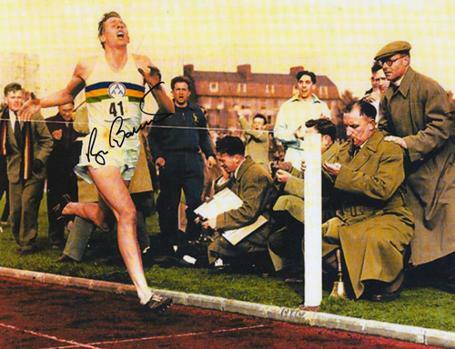 Brasher winning the 1956 3000 metres steeplechase Olympic gold medal at the Melbourne Olympics. 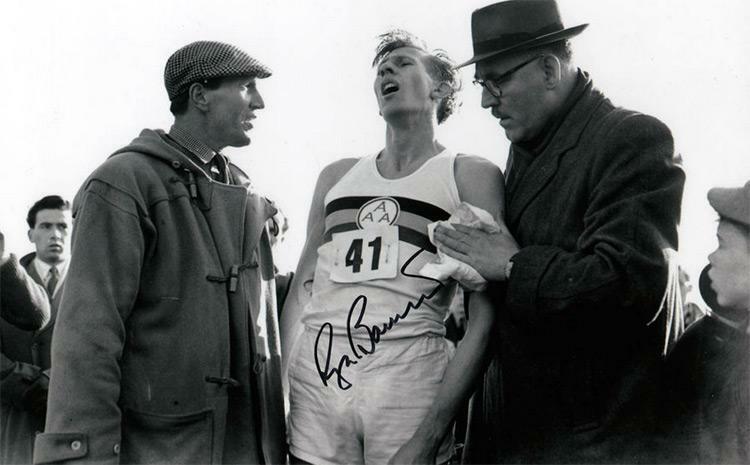 of Brasher winning the gold medal in Melbourne. 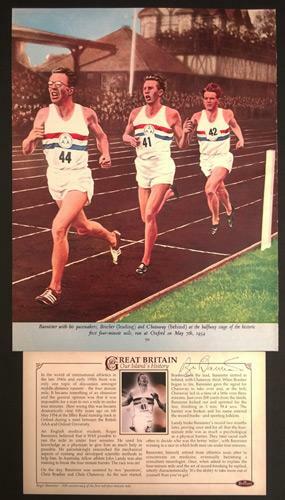 Signed athletics action photo (6 x 8 ins) of Chataway's world record breaking run (13m 23.2s) in the 3-mile match race between Great Britain & Germany at White City Stadium in Jul 1955. 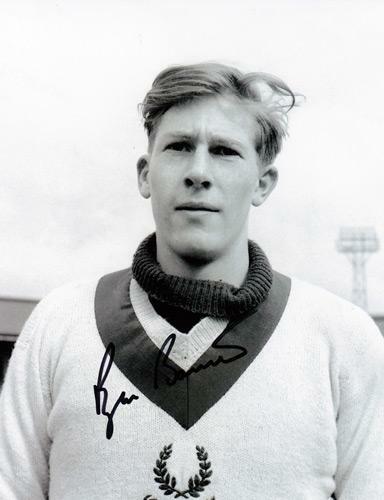 Photo also shows team-mate #3 Derek Ibbotson. 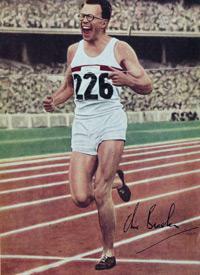 signed autograph card + colour book page of his 2000 metres British record at White City. 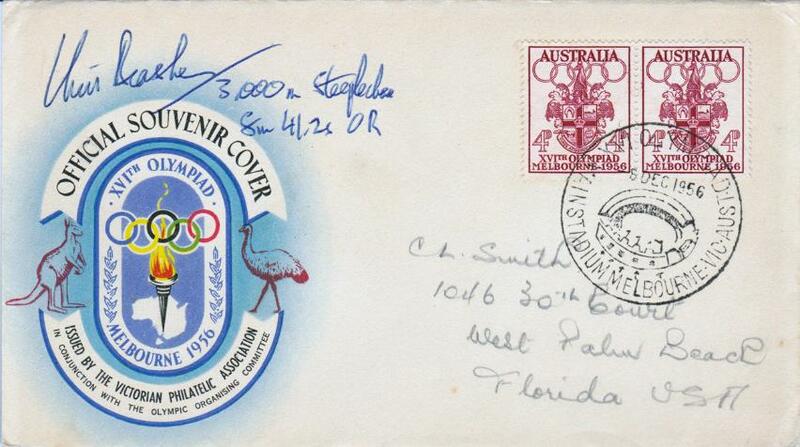 Signed A4 Olympic Athletes picture. 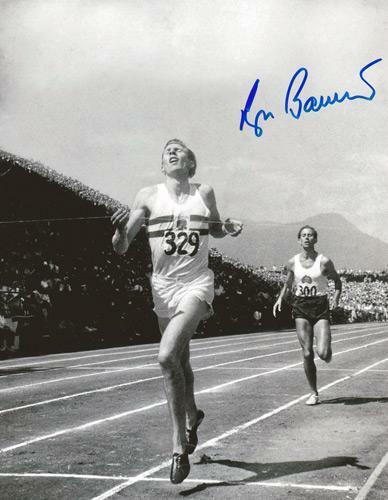 Welcome to Uniquely Sporting's sports shop / store page for authentic Bannister, Brasher & Chataway athletics memorabilia, running collectables & Olympic souvenirs - with a great collection of autographed & signed items including the historic first sub four minute mile in 1954 and other world record achievements. IF YOU WANT TO BUY AN ITEM OR ITEMS ... PLEASE SEND US YOUR BID OFFER. 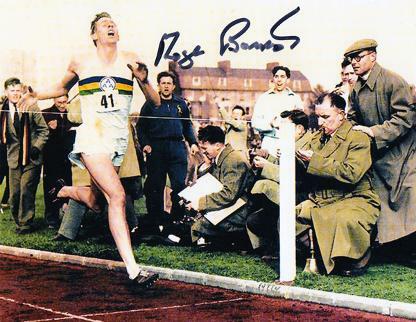 Welcome to the Uniquely Sporting Sports Memorabilia page for Sir Roger Bannister memorabilia and Dr Roger Bannister athletics memorabilia, and other related athletics collectables and signed souvenirs for the first man to run a sub four minute mile. 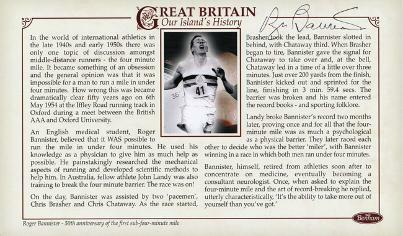 Also Sir Chris Brasher memorabilia and Sir Christopher Chataway memorabilia.